Be bold and playful with strong color usage of Daniela Gregis and Issey Miyake. The form of the Daniela Gregis natural linen shirt has comfortable shape that gives freedom and movement. This movement accentuates the Issey Miyake Pleats Please fringe handbag in vibrant multicolors. 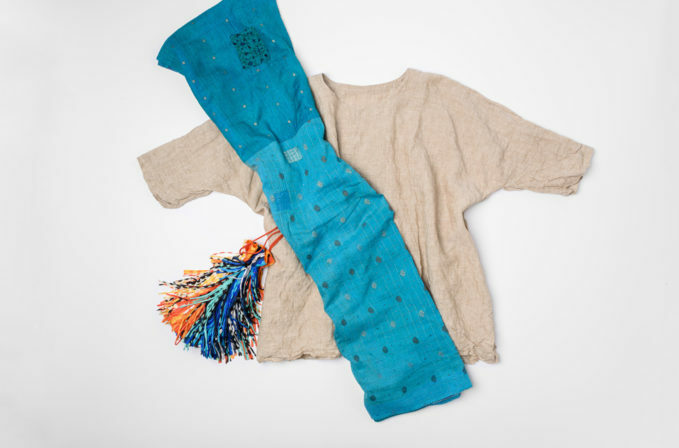 It is vibrantly matched with the Mieko Mintz silk/cotton patched scarf for an artful yet relaxed outfit.